If leading-edge exercise nutrition and weight management expert Benjamin Gonzalez, M.D. has his way, the science-based franchise REVOLISM will change the way we view wellness and weight loss. Dr. Gonzalez is bringing his passion for holistic health and love of teaching to REVOLISM as chief medical officer of the brand, based on the wellness assessment algorithm of the Metabolic Code, previously only available through doctors. In a world of fad diets and magic pills, REVOLISM is a game changer for the $1 trillion global wellness and weight loss industry. The program, based on an individuals physiology, and backed by decades of scientific research, is the only clinical and physician-directed metabolic wellness assessment out there, notes Dr. Gonzalez, medical director of Atlantis Medical Wellness Center in Silver Springs, Maryland. 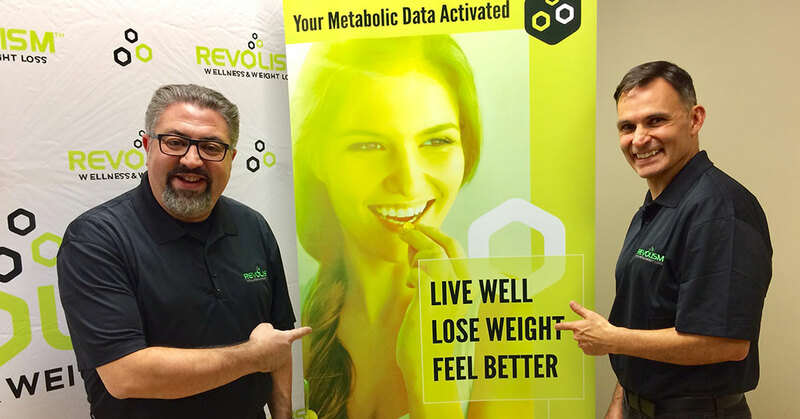 Founded in 2016 by franchise veteran and company president David Ramadan, REVOLISM holds the exclusive franchise rights to the Metabolic Code, a revolutionary program created by nationally recognized, registered pharmacist Jim LaValle, a certified clinical nutritionist, and author of the New York Times-best selling book, Cracking the Metabolic Code. Dr. Gonzalez, best known by his patients as “Dr. G,” has seen the power of the proven program firsthand at George Washington University (GWU), where the Metabolic Code is taught as part of the medical school’s integrative medicine program. Franchisees receive the same education from a scientifically star-studded REVOLISM team that includes Dr. Gonzalez and program pioneers Dr. LaValle and Dr. Andrew Heyman, Metabolic Code co-founder and program director of Integrative Medicine at GWU. “The cool part of the certification is that the Metabolic Code is being taught by the individuals that developed the code,” says Dr. Gonzalez. Rigorous in-person and online education will cover wellness, weight loss management, and physician-adapted motivational counseling techniques will be rigorous. Franchisees who successfully complete REVOLISM's training will be certified as wellness coaches by George Washington University. The success of REVOLISM’s lies in its reliance on the Metabolic Code and the high quality customized supplements created to address each person’s deficiencies that the code reveals. The proprietary wellness assessment combines an individual’s comprehensive health and lifestyle history with laboratory analysis and biometrics to create a user friendly report designed to find and fix the weaknesses in the body’s metabolic makeup to restore vitality for all ages.